Eating what is in Season is beneficial in many ways, from supporting local farms, finding fresh produce that is higher in nutrients, being able to purchase more organic and the food doesn’t need to travel as far to get to you. I think its important to know what is in season and to take this into consideration when shopping. 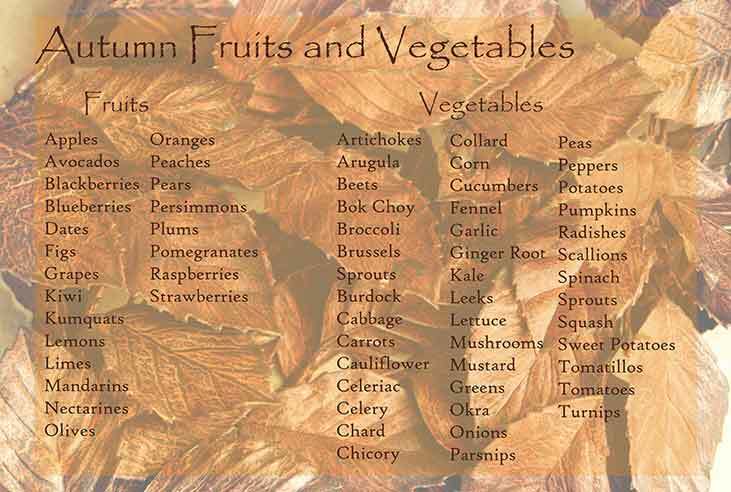 Here is a list of some vegetables and fruits that are in season in autumn.